I was so lucky to have a couple sponsors for my upcoming giveaway; All I Want For Xmas Is AB - which is also a blog hop! Today I'm going to share a little info about one of those amazing sponsors; Beautibi! Well, in a few weeks I'll be posting a giveaway here on my blog, and other bloggers will also be hosting a giveaway at the same time. All of us who are hosting an Asian beauty related giveaway will have our giveaway link on a linky at the bottom of each blog post. We're still looking for more bloggers to join in this fun event, so if you're interested in hosting a giveaway, check out this info form. 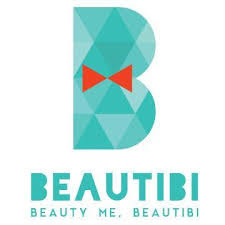 Beautibi is an Asian Beauty Company which curates boxes filled with the latest skincare and cosmetic trends of Korea, Taiwan, and Japan. Not only does Beautibi offer amazing themed boxes (usually filled with surprises, which one or two spoilers) but they also have a wonderful shop to pick and choose individual products from. Beautibi offers free shipping on orders $75 or more, and includes free samples with every order. This bundle of prizes from Beautibi has be so excited for this giveaway to begin, and there's even more to come! A new sponsor spotlight will be coming up in a couple weeks!